This weeks NOTW: Nail Of The Week is a nail varnish by Tanya Burr and its in the colour "Midnight Sparkles". I'm a big fan of these nail varnishes so much in fact the last NOTW I did was also one by Tanya Burr but in the colour Penguin Chic, you can read that Nail Of The Week HERE. It's a gorgeous dark purple colour and when the sun or any form of light hits it in a certain way it has little sparkles of purple in it, it's a really suttle but lovely glitter nail polish. Although unlike Penguin Chic I did find that with this one I needed to apply a top coat aswell, as the shine on it didn't last that long, but other than that I don't think there was anything else wrong with it. - Needed a top coat applied, otherwise the shine on it faded after a few hours. 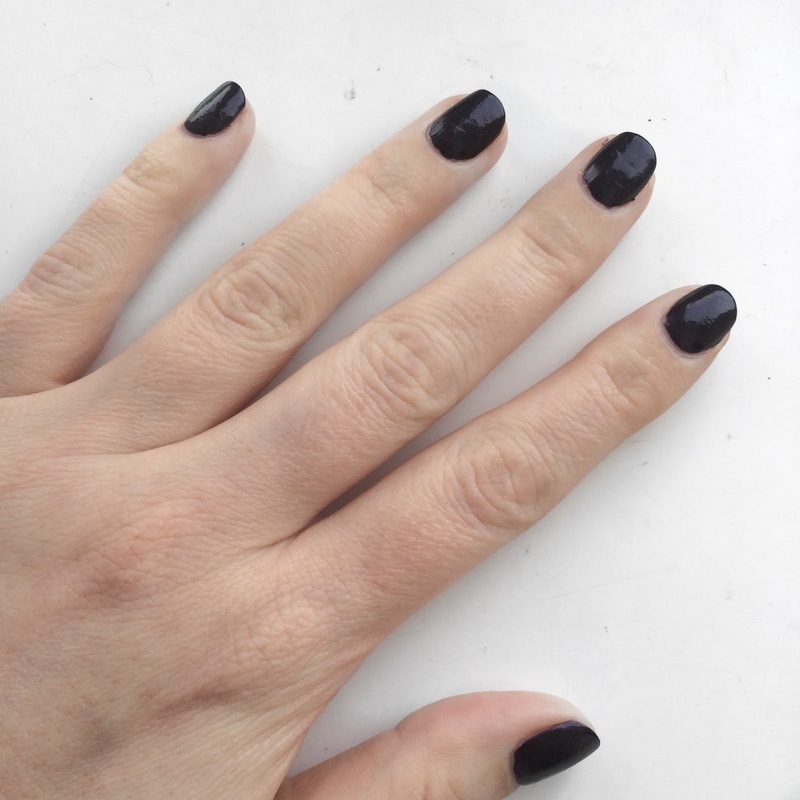 This past week I've really been getting into dark nail varnishes, not too sure why though. I've loads of nail varnishes I haven't used in a while so think I'm finally starting to go through all of them and start wearing some that I haven't used in a while. But if your looking for that perfect dark but suttle purple nail colour then I would definitely recommend this one. Do you have this nail varnish? If so what are your thoughts on it and are there any other colours that are like this that you would recommend to me?